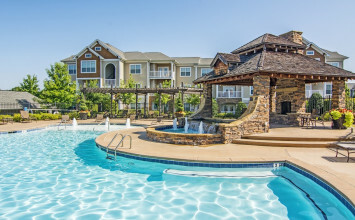 Amenities catered to work-from-home residents are on the rise in the multifamily industry. As the number of residents who work remotely increases, properties have begun focusing on supporting their everyday needs. 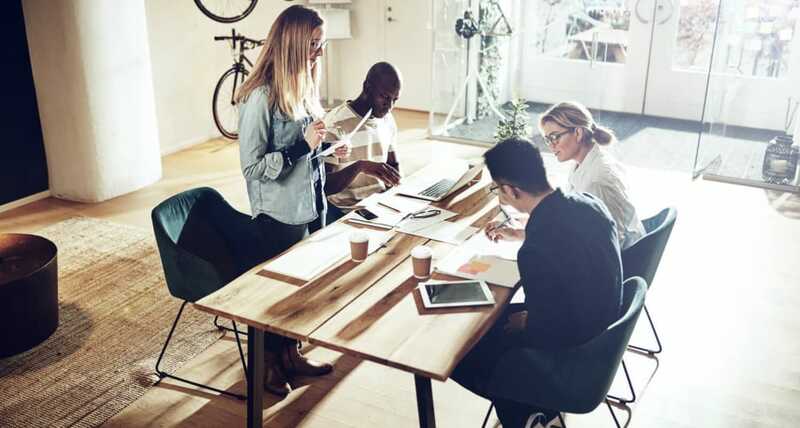 Amenities such as high-speed Wi-Fi lounges, inviting tables and chairs for gatherings or quiet work, and even apartments with stylish built-in desks are all popular ways to champion the entrepreneurs of your community. The good news for properties investing in resident coworking amenities is that when the amenities are functional, they’re an asset to all of your residents. Here are some creative ways properties are building coworking amenities into the lifestyles of their residents. The trend toward working remotely is on the rise across the U.S. In 2016, Gallup data showed that 43% of employees worked remotely in some capacity and nearly one-third of all employees spend 80% or more of their time working away from the office. When residents spend a greater percentage of their time working remotely, their relationship with their property changes. Their satisfaction with being at home during their workday influences their overall experience of living at your property. In order to support their needs, it’s important to designate a functional space that makes them feel welcome as residents and as coworkers. Here are some elements of functional spaces that are perfect for both coworkers and your residents. Coworking spaces feel welcoming to remote workers and residents when there is plenty of room for everyone to work. Large communal tables provide functional space for your coworkers to set up shop or hold small meetings. They’re also great meeting places for resident events or social groups in your community. Just make sure you provide ample seating that’s comfortable to work in for an extended period of time. A great way to create a space residents enjoy working in is to fill it with natural light. If you can include windows in your residents’ coworking space it’s a plus, but you can always rely on a variety of light sources to create an inviting work environment. A mix of outdoor light from windows, overhead lighting that fills the room, and smaller reading-light fixtures can transform an ordinary room into a coworking oasis. 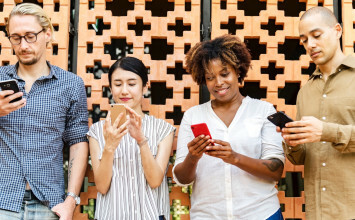 Strong internet and mobile connectivity are crucial for any coworking space. Professionals and entrepreneurs who work from home require a strong internet connection during video calls to coworkers and clients. 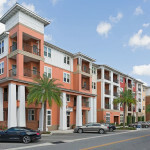 The National Multifamily Housing Council and Kingsley Associates reported that 92% of residents consider dependable mobile connectivity a must-have for common areas. It’s also a smart idea to keep your resident coworking spaces civil by providing plenty of power sources so everyone has a place to plug-in. Power strips can be installed quickly and easily. While communal spaces are great for residents to work and socialize, your remote workers will appreciate reservable private spaces for hunkering down in or for making phone calls. Properties should also consider designating hours where their communal spaces can be reserved for private meetings. Waterton properties, which includes 14,000 apartments across the U.S., have seen an increased demand for communal spaces that double as personal or collaborate workspaces. Waterton plans to renovate underused common areas to include work pods and spaces for remote workers to meet, socialize, and collaborate. A simple way to make your coworking spaces feel inviting is to stock them with snacks, drinks, and basic office supplies. This could be as simple as filling a small refrigerator with water and providing bags of snack. If you’re looking to treat your coworking residents, host a breakfast for remote workers once a month. This will help foster community among your residents who work remotely. Another marketing-inspired solution to promote your coworking spaces is to give away branded notepads, pens, and mugs to residents who frequent your coworking areas. It’s a practical way to keep your brand front-of-mind with your residents. We understand that dedicating space strictly for coworking is not feasible for every property. The good news is, however, that remote workers know how to be flexible and resourceful. The most basic needs of coworking space include tables, chairs, and Wi-Fi, so mixed-use areas such as cafes are an ideal compromise. 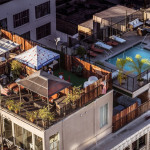 By investing in mixed-use amenities that accommodate all your residents (whether or not they work remotely), your property can get the most use out of any coworking space. AvalonBay’s AVA DoBro property in Brooklyn, NY features AVA Brew, a branded coffee shop and wine bar located in its lobby. Brew is a place where the whole neighborhood can come in and grab a fresh pastry, cup of coffee, and a desk for the day. A cafe is a great way to get your residents out and interacting with their community. Need more ideas for great mixed-use coworking spaces? Consider equipping your pool area with Wi-Fi and access to outlets, setting aside space in your community center with designated tables and chairs, or converting a rooftop deck to an outdoor coworking space. Some residents who work from home feel more comfortable working from their apartment, opposed to a public space. To attract and accommodate those who literally prefer to work from home, offer amenities that fit the lifestyle of a remote worker. To get you started, here are some amenities ideas for the stay-at-home remote employee. Functional built-in desks - A comfortable and private workspace is a remote worker’s best friend. A built-in desk is a stylish and functional place for residents to stay productive. Consider pairing your built-in desk with a built-in lamp, convenient outlets, and a window view. Package lockers - Residents who work from home don’t always work a traditional nine-to-five schedule. Access to a 24/7 package locker gives remote workers and entrepreneurs the ability to send and receive packages at their convenience. Smart lockers are also one of our top apartment community picks of 2018 and help save time for your residents and site staff. 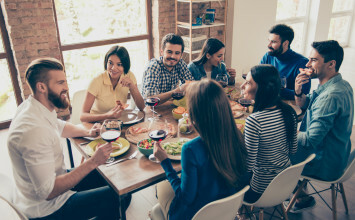 Private event space - One coworking amenity that residents can’t fit comfortably in their apartment is the space for a meeting. If your property doesn’t have dedicated coworking space, keep your remote workers looking professional by designating a communal room where they can reserve and host business meetings and or client pitches. Depending on their occupation, residents who work from home each have a unique set of needs and expectations from their workspace, and thus, apartment. The best way to accommodate the coworking needs of your entire community is to create functional spaces that both your remote workforce and residents find useful. Listen to the feedback of your coworking residents and implement improvements to your coworking spaces as you go. As the trend toward working from home continues to climb, improving the experience of all of your residents will make an impact on the overall experience of living at your property.